Success is a lousy teacher. It seduces smart people into thinking they can’t lose. 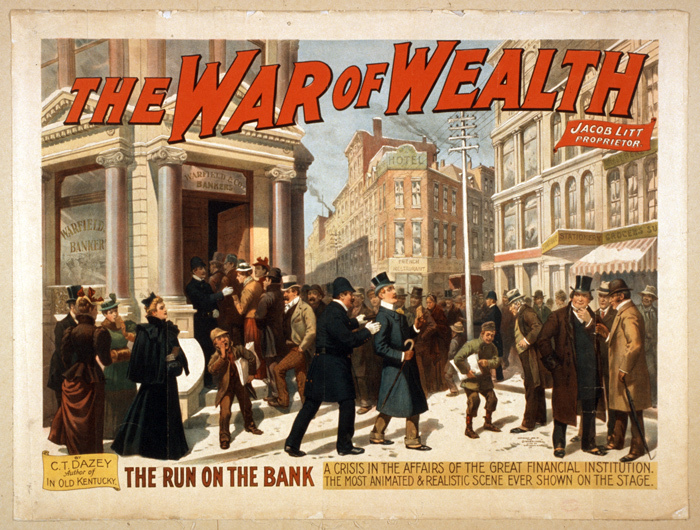 US financial history is rife with financial manias and panics. Easy money eventually gets to us. It seduces us. We see what seems like everyone around us getting rich quick. It is difficult not to succumb to the temptation to plunge. That is the power of mass delusion. On the way to what would be the final peak of the housing bubble, it was hard to find anyone who thought it would ever end. Was that any different than the heady days leading to the peak of the tech bubble? Common wisdom was that nearly any internet stock was the key to instant wealth. A brief look at our past financial follies demonstrates that we don’t seem to learn from our financial past. We just don’t change our behavior when tempted by what seems almost too easy. Before the creation of the Federal Reserve Bank, the US experienced heart-rending swings from ferocious financial mania to devastating panic and depression. Whether we had a central bank or paper currency was convertible into gold or silver, we still managed to boil up some bubble trouble. Almost every twenty years, like clockwork, overly accommodating credit conditions made it so easy to borrow that the fear of missing out on the latest financial mania overwhelmed common sense. For most people, this usually happens just before the peak. 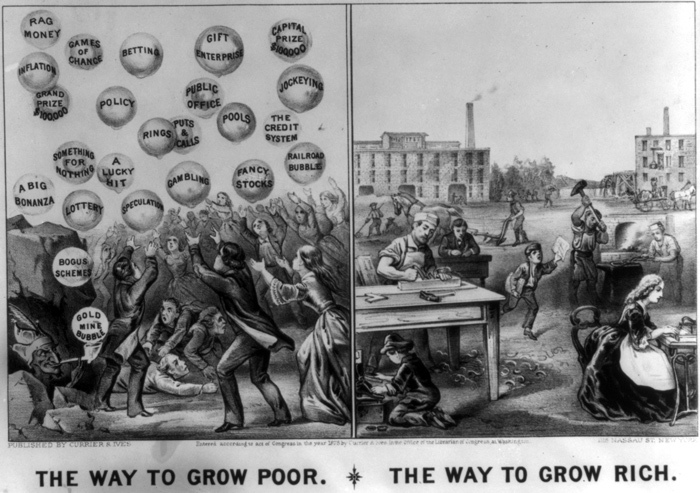 The 1875 image above, The Way to Grow Poor * The Way to Grow Rich, was published 2 years after the 1873 panic initiated by the collapse of the firm Jay Cooke & Co. after extensive speculation in the railroads. When large numbers of mortgagors fail in their payments, the land is thrown upon the banks, and that land for the moment has lost its value. The banks cannot meet the calls of their depositors, and then…payments cease, and creditors and debtors are involved in common misery. Who could wonder, under such a strain, if the very foundation of society should be shaken? The 1873 railroad stock bubble and panic led to the failure of 10,000 businesses. Why do these cycles of boom and bust recur? The one constant is human nature. Copyright © 2019 Life on the Edge of a Bubble. All Rights Reserved.